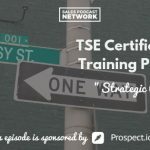 TSE 974: Sales From The Street: "Document Everything"
On today’s episode of The Sales Evangelist, we talk to Chirag Gupta, founder of NoD Coworking, about documenting processes and how it will help your organization become more efficient and more profitable. 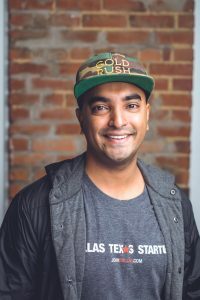 Chirag has been an entrepreneur since college, and his coworking space in Dallas has achieved profitability, a goal many startups never achieve, largely as a result of documenting processes. Like many entrepreneurs, Chirag initially found himself wearing many hats. He discovered that operating that way isn’t profitable, even though it’s a means to conserve cash. It simply isn’t sustainable. He realized he was working long hours without delivering the best possible experience to his customers. Chirag discovered a book called Work the System, which helped him understand that juggling all aspects of the business prevented him from running the business. You can work in your business, or you can work on your business, and the difference between the two is subtle. Once he discovered the difference, he understood the need to begin documenting processes, specifically those for sales. In the early days of the business, each transaction was unique. Chirag negotiated with every client instead of establishing a specific membership process. Because there was money coming in, he didn’t immediately recognize the need to document processes for his business. When he did, he felt like he got a huge chunk of his life back. The idea for NoD emerged when Chirag was in Chicago working in a coworking space on an idea for a social networking app. He discovered that he was encountering other successful Internet entrepreneurs, angel investors, and mentors, and he realized what a powerful resource it was. He decided that his second business, after his Internet startup was thriving, would be a coworking space. When the Internet startup died, he returned to the idea of the coworking space. He moved back to Dallas and started running meetups with the startup community simply to make new connections. He was looking for networking opportunities among the tech startup community. At one point he was running five different meetups using a vacant office space. One of the guys in a meetup insisted on paying him to use the space. He could see the vision and the value of a coworking space in that part of the city. Process is key for everyone. Chirag learned that once you write something down, you can test it and measure it and tweak it and optimize it. If you don’t write it down, it’s hard to replicate or scale. He started by documenting the process for lead generation. Once he had written down the individual steps, he was able to see new insights and find ways to streamline the processes. Processes have helped him trust that his customers are always getting the same consistent process that his team developed. The result has been amazing growth for his company. His profit has roughly doubled as a result of the effort. As an added benefit, the company is getting more five-star reviews because they’ve streamlined the processes. You can connect with Chirag at ChicagoGupta.com, and you can find all his social media information there as well. Check out NoD Coworking to learn more about his coworking space in Dallas.